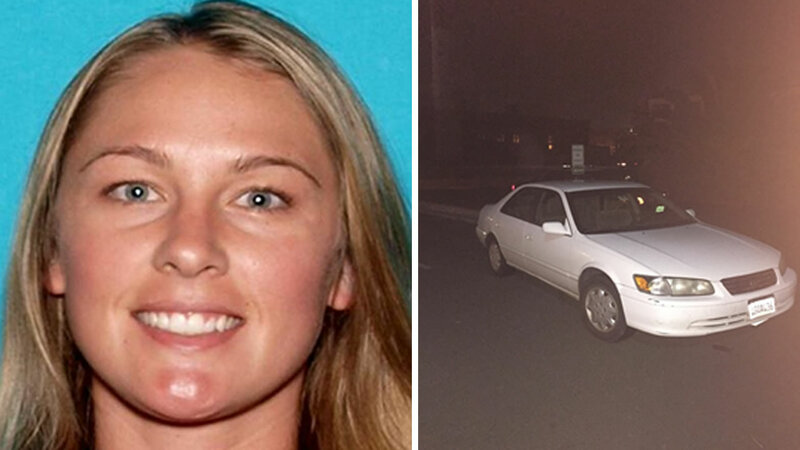 VALLEJO, Calif. -- Vallejo police are asking for the public's help in locating 29-year-old Denise Huskins who was reportedly kidnapped for ransom. Huskins' boyfriend reported her abduction around 1:55 p.m. Monday. He told police that Huskins was forcibly taken against her will from her Mare Island home early Monday morning and that a ransom demand had been made. He called police several hours after she disappeared, but police have not explained why it took him so long to report the crime. Police are interviewing her boyfriend, but they don't consider him a suspect or a person of interest. Police say they found Huskins' car, a white 2000 Toyota Camry with California license plate No. 4GQA436, at an undisclosed location in Vallejo. Investigators believe her car was taken from the block where she was abducted. Huskins was employed as a physical therapist at Kaiser Permanente Medical Center in Vallejo and had previously worked at Southern California Orthopedic Institute in Valencia, according to her Facebook page. The Southern California native moved to Vallejo from Toluca Lake in June 2014. Anyone with information on this investigation was urged to contact the Vallejo Police Department at (707) 648-4524.